With Christmas fast approaching, we’re getting into the festive mood with the next instalment in our Christmas Cracker film countdown. Throughout December, we will be counting down through best Christmas films, from family favourites to romantic comedies. Today, we’ll be taking a look at the 1942 classic HOLIDAY INN. 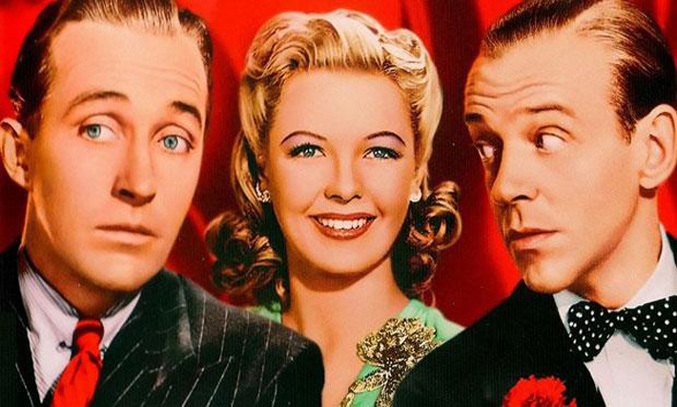 Directed by Mark Sandrich, HOLIDAY INN is an American musical film starring Bing Crosby and Fred Astaire. It tells the story of crooner Jim Hardy (Crosby) who, in an attempt to get over his failed engagement with Lila Dixon (Virginia Dale), opens a hotel/restaurant called the Holiday Inn. Jim soon falls for beautiful and up-and-coming performer Linda Mason (Marjorie Reynolds) but suave stepper Ted Hanover (Astaire) wants her for his new dance partner. Can Jim hold onto his new love or will Ted steal her away? The song “White Christmas” was such a success that it lead to another film based on the song, WHITE CHRISTMAS (1954) starring Crosby, Danny Kaye, Rosemary Clooney and Vera-Ellen. It was also the best-selling music single ever until 1997 when it was passed by “Goodbye, England’s Rose”, Elton John’s rework of “Candle in the Wind” for Princess Diana’s funeral. HOLIDAY INN received a 1943 Academy Award for Best Original Song (Irving Berlin for “White Christmas”), as well as Academy Award nominations for Best Score (Robert Emmett Dolan) and Best Original Story (Irving Berlin).